Held in the Town Hall in Richmond, this is a beautiful location for the Chic Vintique Craft & Vintage Fair. Our tearoom offers hot & cold drinks and a choice from a selection of delicious cakes all served on tables dressed in beautiful vintage linens and served on fine china. Admission is FREE and we are open from 10.00a.m. until 4.00p.m. This event is organised in association with Stockton Borough Council and is part of Stockton’s ongoing programme of specialist markets. At this year’s event there will be 48+ traders, refreshments and musical entertainment. The event is FREE to the public and open from 10.00a.m. – 4.00p.m. It was great to see so many people in the marquee on 6th April. Visit our event gallery to see images of the day. Find out who is in the marquee & what else you can expect to see & hear at the fair. Click here. The 1940’s nostalgia weekend returns 20th & 21st July 2019. The event attracts visitors from far and wide looking to step back in time to a bygone era. The focal point for the Home Front Vintage Fair is Thornborough Hall, a short walk from the Market Place. 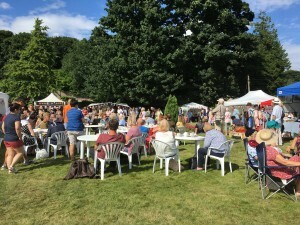 The Oak Room, inside the hall, and outside on the grass are packed with traders selling vintage clothing, accessories and much more. Music and dancing will get you tapping your feet (or joining in) and when you’re done, the tearoom is on hand to quench your thirst with tea, cake and treats. Visit the Leyburn 1940’s weekend website to see many pictures from the weekend. 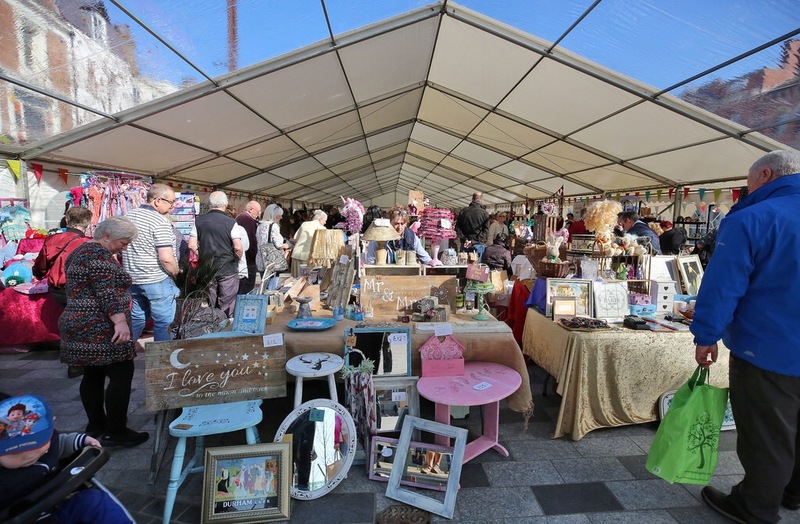 The dates for the 2019 festival are 15th & 16th June and there will be lots of activities taking place across the two days including the craft & gift fair. We will be celebrating the very best of local artisans and designer makers as they showcase their talents.